CARFAX 1-Owner, ONLY 37,265 Miles! JUST REPRICED FROM $36,995, EPA 28 MPG Hwy/18 MPG City! 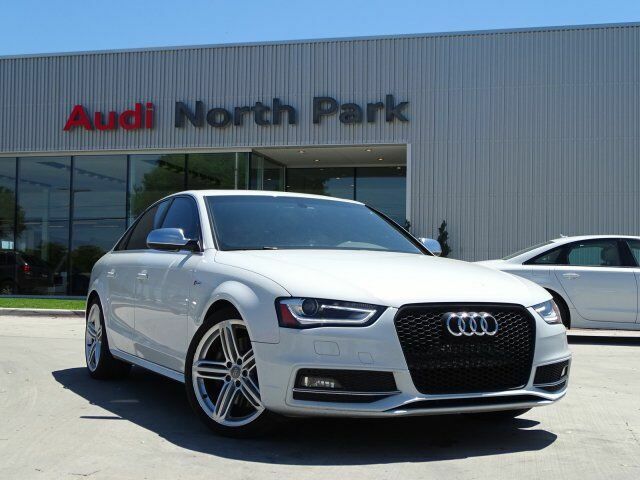 Heated Leather Seats, Navigation, Sunroof, Rear Air, All Wheel Drive, AUDI QUATTRO W/REAR SPORTS DIFFERENTI... TECHNOLOGY PACKAGE AND MORE! TECHNOLOGY PACKAGE TFT color, WVGA, 7" display screen, control knob w/joystick and buttons in center console, Operates climate control, central locking, instrument cluster, vehicle diagnostics, cellular phone, navigation, CD and radio functions, driver information system w/trip computer, Bluetooth streaming audio, MOST optical bus connecting all infotainment electronics and SiriusXM Traffic w/4 year subscription, Bang & Olufsen Sound System 505 watts, 14 speakers, Dolby Digital 5.1 and noise compensation, Parking System w/Rearview Camera, rear acoustic sensors, Audi Side Assist, lane change assistant, operates at speeds above 19mph, visual warnings located in exterior mirror housings, Radar technology located behind rear bumper (not visible), Can be turned off, Audi Connect w/Online Sunroof, All Wheel Drive, Keyless Entry, Steering Wheel Controls, Child Safety Locks, Electronic Stability Control, Heated Mirrors. Was $36,995.